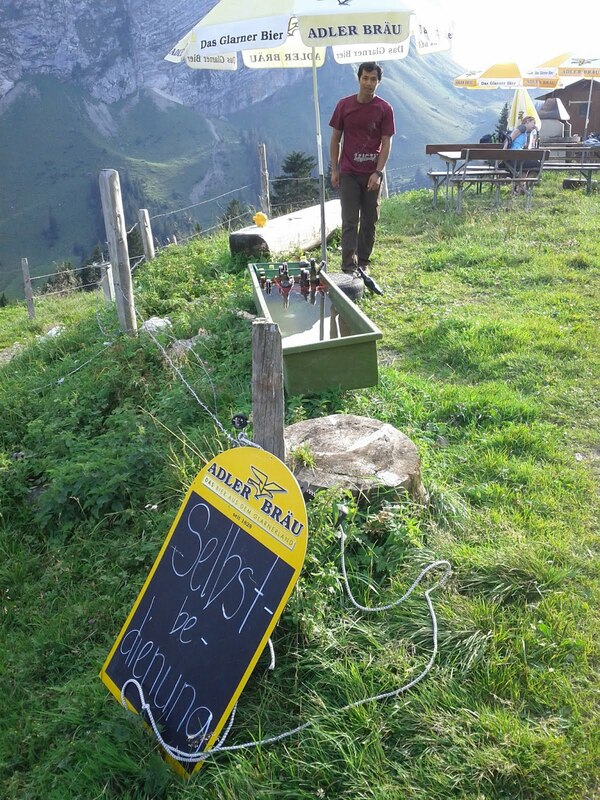 Wilson, Linus, Gintare and me used the Swiss national holiday 1st of August to go climb the Brüggler south face again. This time we chose the "Namenlose" ("nameless") route. 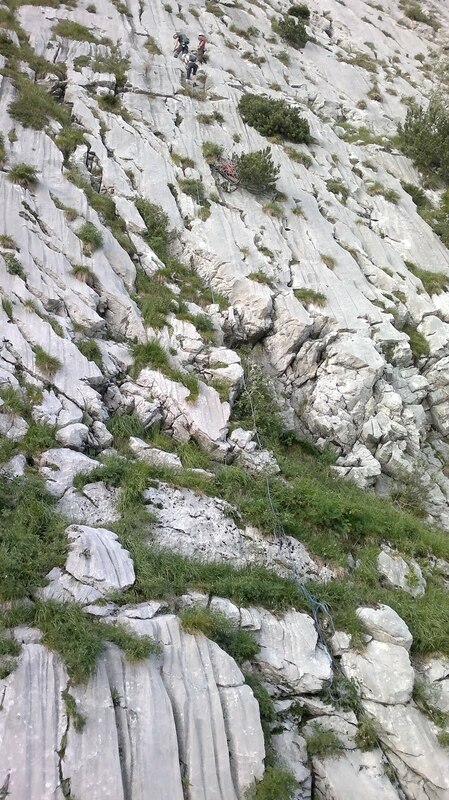 A 6a with a crux right at the start - a short overhanging section. A beautiful sunny day - by the time we finally got down again we were out of water and dying of thirst. Fortunately we passed a watering tub for the cows on the way down, fed from a spring. The barn a little bit further was even better: self service beers with a piggybank. Much appreciated! Coming back to Zürich we crashed Henrik's rooftop BBQ party and watched the fireworks going off all around us in the city. The objective: ~270m of razor sharp limestone. 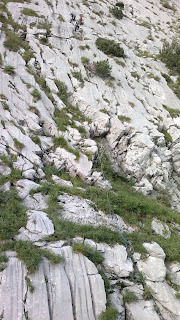 Start of the first pitch of the "Nameless". The final rappel back down.